ST. GEORGE — Touted as the nation’s strictest DUI law, Utah’s legal blood-alcohol limit is dropping from 0.08 percent to 0.05 percent this Saturday – just in time for New Year’s Eve. Despite the new limit, it will be “business as usual” for law enforcement agencies such as the Utah Highway Patrol, UHP Sgt. Nick Street said. “We’re not changing anything,” Street said, adding that the same sobriety tests and considerations will be given if a person is believed to be impaired. The only difference is the lowered alcohol limit. The UHP and other agencies will be conducting their traditional New Year’s Eve DUI blitz, which includes additional shifts and checkpoints in certain locations. “We’re just hoping, with the new law, people will consider rides home instead,” Street said. The limit equates to three drinks for an average man and two drinks for an average woman, though this can vary from person to person. While Utah has been said to be enacting the strictest blood-alcohol limit in the United States, Street said some states, such as Colorado and New York, already have a 0.05 percent limit in place.. However, those states employ tiered formats in relation to their DUI laws based on differing situations and past convictions. The primary DUI standard for most states is 0.08 percent. Overall, Street said the United States is behind the curve on enacting a 0.05 percent limit when compared to other countries with that limit or lower. The law passed in 2017 and, according to its sponsor, Rep. Norm Thurston, R-Provo, it will save lives by getting people to think twice about driving impaired. The National Transportation Safety Board supports the new law, as it has been calling for a 0.05 percent blood-alcohol limit to become a new national standard since 2013. According to the NTSB, if that limit were observed by all states, it could save 1,800 lives annually, and would translate into an 11 percent decrease in alcohol-related deaths. Members of Utah’s tourism and hospitality industries lobbied against the law while it was still in the Legislature. 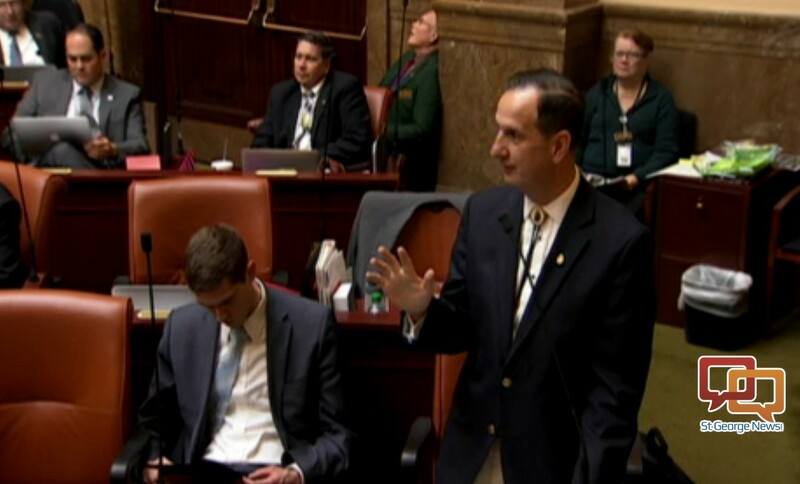 They voiced concerns over tourists and others avoiding Utah due to the law. They also have said it will add to the ongoing perception that the state has weird liquor laws. Bartenders and servers at the hotels are advising visitors about the new law, Bengtzen said, adding he thinks dealing with it is going to be a nightmare. “The problem isn’t between 0.05 and 0.08, it’s between the people who exceed that,” Bengtzen said. Thurston said that a person with a 0.05 percent blood alcohol content experiences negative effects to their tracking, steering and coordinated responses. “The probability of being involved in a single-car fatality – in other words, that driver running into something and killing themselves – is 700 to 2,100 percent higher than a person at 0.00,” Thurston said. As a way to help drivers from getting caught up in the new law – as well as avoiding impaired driving in general – some groups are offering ways to get home without getting behind the wheel. The AAA offers a free “tipsy tow” service to member and nonmembers that will be available between 6 p.m. and 6 a.m. between Dec 31. and Jan. 1. Those wanting to use the service can call 855-TOW-2-GO. Where available, the ride-sharing service Lyft offers a coupon code connected to the “Enjoy Utah Responsibly” campaign. The code can be obtained here. “Nobody should put themselves in a place where they get behind the wheel with alcohol,” Street said. It’s difficult to find a good reason to be against the new limits. I’ve tried and come up blank. Affects on tourism and economy can be mitigated by behavior (stay at locale longer to metabolize or get cab). And in reality we’ve known down to .02 starts to impair reflexes and response times for drivers. At the end of the day, we just shouldn’t get behind the wheel impaired. True for alcohol, prescriptions and illicit drugs. Yeah there’s Ubers and Lyfts too which are another convenience we didn’t have until fairly recent. Wrong again B&F. If you really want to curb drunken driving you need to hammer repeat offenders. There are way too many people out there with multiple DUI’s who repeatedly continue to drink and drive. THEY are the real problem, not the mom who will now blow over for having a glass of wine with dinner. This law is what it is, a Mormon thing. You know it, and I know it. The problem I have with this is that “The State” (and lawyers) will reap the profits from the fines imposed, not the victims harmed by the Drunk Driver. Fines collected should go to those actually harmed or directly into a fund that would benefit or try to make whole, those that are actually harmed by Drunks. It should not be used to buy new and improved toys for law enforcement.